Gloucester County Historical Society's Headquarters 250th Birthday Celebration - May 16, 2015 ~ The History Girl! 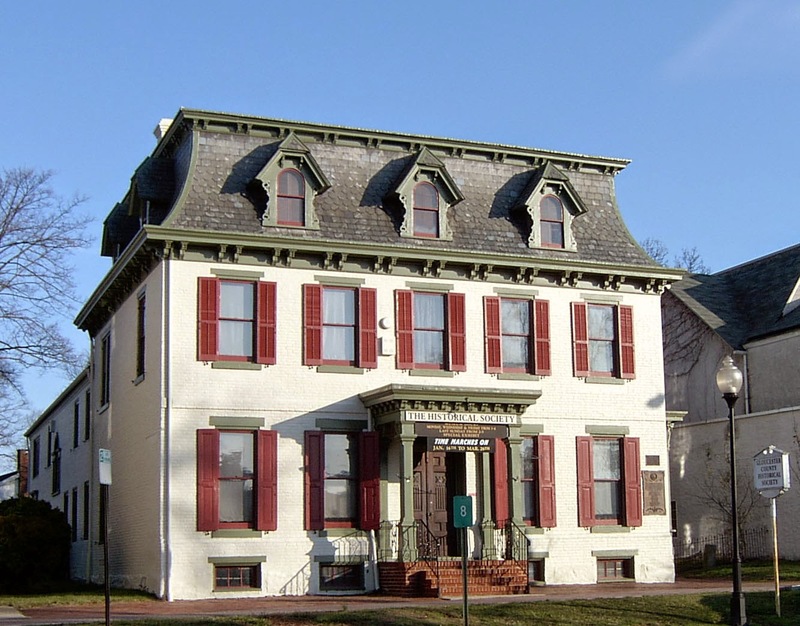 The Gloucester County Historical Society will be commemorating the 250th birthday of its museum house – the Hunter Lawrence Jessup House, with a Time Capsule event on Saturday, May 16, 2015 at 11:00 am. The house was built in 1765, and has had many distinguished residents, including Captain James Lawrence of “Don’t Give Up the Ship” fame (still the motto of the US Navy) in the War of 1812, and Reverend Andrew Hunter, tea burner and chaplain of the Revolutionary War era and husband of Mary Stockton, daughter of Richard Stockton, signer of the Declaration of Independence. The Time Capsule ceremony will take place on our grounds and include entertainment from the Woodbury High School band and light refreshments, followed by an optional free tour of the historic house. Free parking is available. Rain date Sunday, May 17.